Located in Connaught Place, this luxury hotel is within a 15-minute walk of Rajpath, Kasturba Gandhi Marg, and Gurudwara Bangla Sahib. India Gate and Jantar Mantar are also within 1 mi (2 km). Patel Chowk Station is 5 minutes by foot and Central Secretariat Station is 13 minutes. Along with 3 restaurants, this hotel has a full-service spa and an outdoor pool. Valet parking is free. Other amenities include a nightclub, a health club, and a bar/lounge. All 419 rooms feature modern comforts like LCD TVs with digital channels, along with WiFi. Other amenities available to guests include 24-hour room service, minibars, and premium bedding. 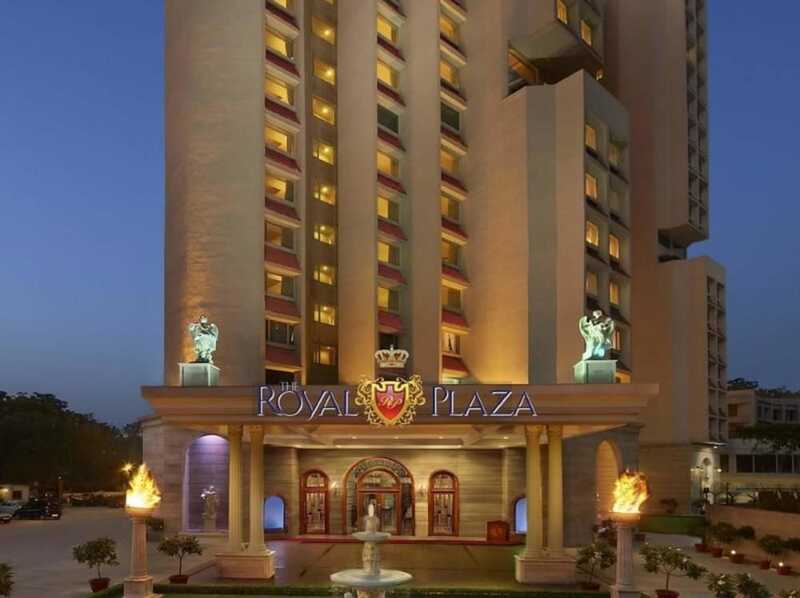 In addition to a full-service spa, Hotel The Royal Plaza features an outdoor pool and a health club. Dining is available at one of the hotel's 3 restaurants and guests can grab coffee at the coffee shop/café. The property also has a snack bar/deli. A bar/lounge is on site where guests can unwind with a drink. Public areas are equipped with wireless Internet access (surcharge). This 4-star property offers access to a business center and limo/town car service. This Edwardian hotel also offers a nightclub, a sauna, and multilingual staff. For a surcharge, a shuttle from the airport to the hotel (available 24 hours) is offered to guests. Complimentary valet parking is available on site. Hotel The Royal Plaza has designated areas for smoking. Lutyens - Onsite restaurant. Open 24 hours. Jasmine - This theme restaurant serves lunch and dinner. Onyx - Onsite restaurant. Guests can enjoy drinks at the bar. Energy Spa and Salon has 5 treatment rooms including rooms for couples. Services include body scrubs and manicures and pedicures. The spa is equipped with a sauna. A variety of treatment therapies are provided, including aromatherapy, Ayurvedic, and hydrotherapy. This property offers transfers from the airport (surcharges may apply). Guests must contact the property with arrival details 72 hours prior to arrival, using the contact information on the booking confirmation. Reservations are required for massage services and spa treatments. Reservations can be made by contacting the hotel prior to arrival, using the contact information on the booking confirmation. A resort fee is included in the total price displayed. One child 5 years old or younger stays free when occupying the parent or guardian's room, using existing bedding. Only registered guests are allowed in the guestrooms.